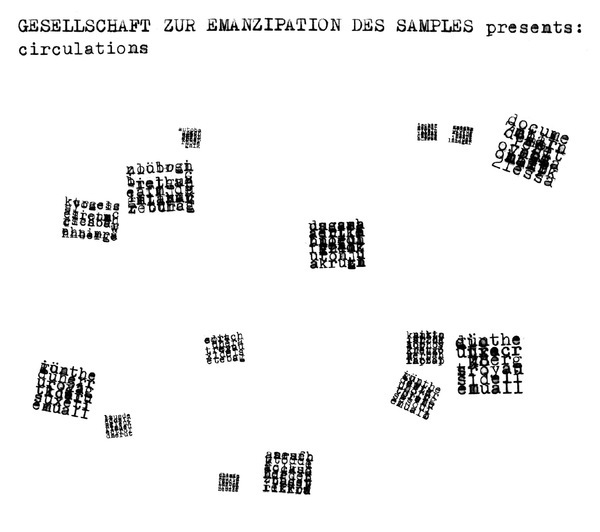 The Gesellschaft Zur Emanzipation Des Samples is an entity that challenges the constitution of copyright law (supposedly, at least) by recording the sonic profiles of public spaces with a potentially contentious sample woven in somewhere along the line; "just one event among many, equal to the ambient acoustics, casual conversations and traffic noise. Do the rules of copyright still apply?" I imagine they probably do, yes. 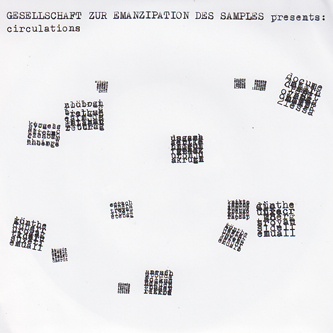 The Society For The Emancipation Of Sampling offers "a potential solution to the criminalisation of sampling" inviting all of us to "take your sources and sample them in a public space." Hmm, tellingly, the artist behind all this is choosing to remain anonymous. The music behind all this is actually rather good, made up from mysterious orchestral and exotica clippings, which inevitably leads you to suspect that there's been a deliberate shying away from using the works of any easily identifiable artists. Whatever the concept, this five-track release is definitely a fun listen.